Drake is talking about the beef, but like Joe Budden he's not rapping about it. (AllHipHop Rumors) LeBron James has something on HBO (Yes, I'm lazy and ain't googling it) and he had Drake on there talking about a bunch of stuff. But all I know is, Drake talked about both Kanye and Pusha T. Nothing else matters to me. 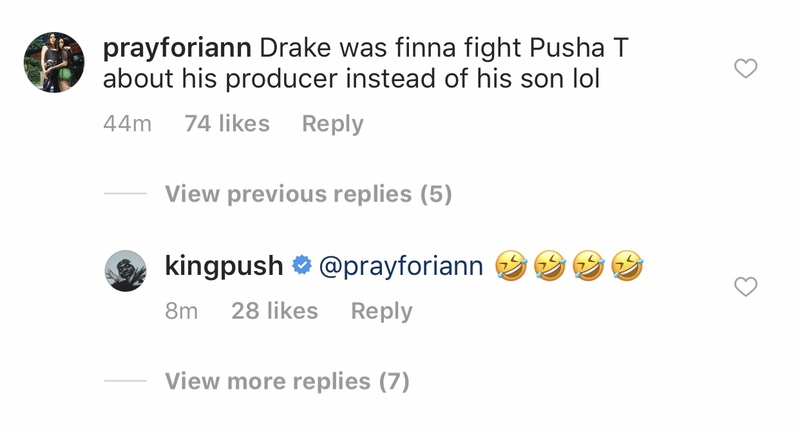 Now, Drake clearly blames Kanye for exposing his son to the public through Pusha T. He says he confided in him about his son as well as the issues with baby boy's mother. Why he would trust Kanye with such sensitive information is beyond me, but he maintains Ye told him a bunch of person stuff too. I guess Kanye ran his mouth to Pusha, who went in for the kill after finding out the info. In the vids below, Drake infers he stopped the beef because Push crossed a line of no return and people were going to get hurt. And you will not, Push quips about it, even when Drake talks about his friend/producer 40, who is stricken with MS. He had no dirt on pusha. But keeps sending shots at Kanye lol. Why don’t you send those shots at pusha sensitive a** drake?